Largest showroom in Northeast Alabama! Welcome to Alabama Spa. At Alabama Spa we specialize in customer satisfaction before and after the sale. We understand that purchasing a new spa is an investment in your relaxation. We know how important this investment is to you. 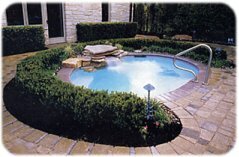 Our friendly sales staff will answer all of your questions and our technicians will be there to help you maintain your spa so you can enjoy many years of pleasure from it. We have one of the best show rooms in Etowah County for our products. Stop by today and see how easy it is to obtain your new spa. Rental Spas - Delivered and set up.. Covers - 14 colors and various designs to choose from. Parts - Hot Tubs & Pools. Chemicals - Hot Tubs & Pools. 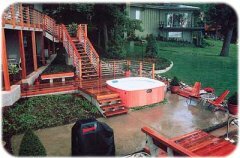 Accessory Items - Hot Tubs & Pools. 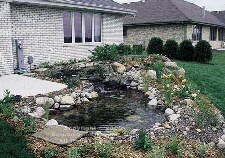 Swimming Pools - Sales & Installation. Billiard & Game Tables - Sales & Installation. Tanning Beds - Sales & Installation. Baptistries - Sales & Installation. Service Technician - Licensed Sales & Installation. Bonded. Biggest Selection of Parts in Northeast Alabama! -You get in and start relaxing. -90 Days same as cash. -5 Year warranty on covers. -2 Year warranty on parts & labor. Alabama Spa now offers Billiard Tables, Texas Hold’em and Poker Tables, Chips and Accessories for your every gaming need. 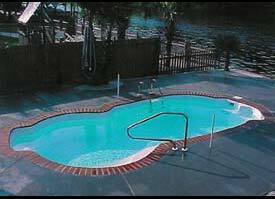 We Sale, Install, and Service In-Ground Fiberglass Pools, Landscape Ponds and Baptistries.